En español | The vast majority of Americans, led by older consumers, say they are taking steps to avoid wasting food, according to Michigan State University’s latest Food Literacy and Engagement Poll. Eighty-eight percent of those polled — including 94 percent of those 55 and older, and 81 percent of those under age 30 — say they try to cut waste. For example, the great majority of those polled (71 percent) say they make efforts to buy only what they need and to consume food before it spoils. Older people also are the ones most aware of food-related concerns, the poll found. 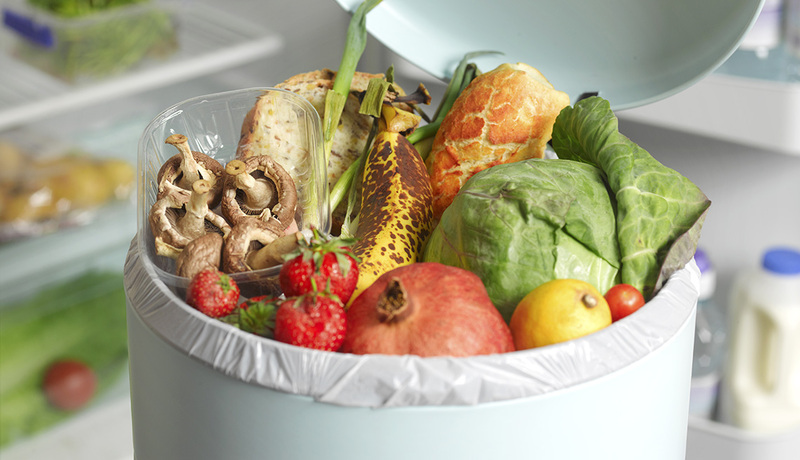 These include that an estimated 31 percent to 50 percent of the food produced in the United States goes to waste. Of those polled who don’t make an effort, many say they don’t waste food anyway, some aren’t familiar with the phrase “food waste,” and others don’t know how to avoid it, aren’t concerned or don’t have the time. The poll, which surveyed 2,090 Americans from Jan. 15 to 21, was released at the American Association for the Advancement of Science annual meeting this month. Store leftovers in clear containers so they can be seen. Shop more frequently for perishables to avoid buying more than needed for a few days. Turn surplus food into soups or stir-fry dishes. Don’t be overly strict about tossing food based on “use by” dates that often indicate when it’s at its peak quality, not when it’s unsafe to eat.